zOomosaurus. 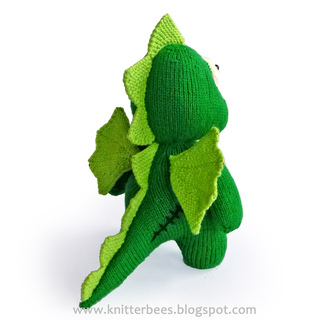 This zombie dragon doll is the 2nd creation of the zOombees collection. He’s a classic punk dragon. He likes to be different to the other dragons. He doesn’t like flying, shoot laserbeams from his eyes and breathe fire, he is more interested in his looks. 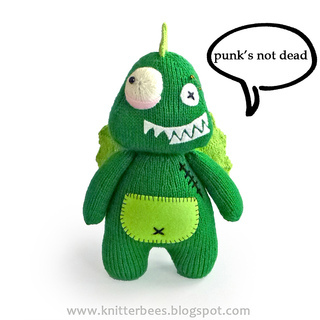 He spends one hour a day keeping his Mohawk spiky and his remaining teeth sharp and sparkly. He also likes listening to punk rock, it makes him feel angry and alive, and now you’re going to make it yours. Pieces of wool felt in white, pink and light green.